According to the Quebec government’s website on the futures of different occupations for Security Guards and related occupations “it is expected that the number of security guards and related occupations will continue to increase”. This mirrors the trend all across Canada where highly trained security officers are in demand. This guide will explain what is required by the provincial government for Quebec security guard training. With the increase in demand is a corresponding increase in the level of training that is required to get and then keep a job in the security field. This is where security guard training Quebec comes into play. To help you navigate thru the requirements for this highly sought after occupation we’ve created a comprehensive guide on how to become a security guard in Quebec. The Private Security Act requires that all individuals conducting private Investigation and/or security guard duties are licensed as well as their immediate supervisor must also have a licence. In order to be fully licensed you must complete the required course offered by various private and public schools across Quebec. The Act defines security personnel as “watching or protecting persons, property or premises mainly to prevent crime and maintain order”. 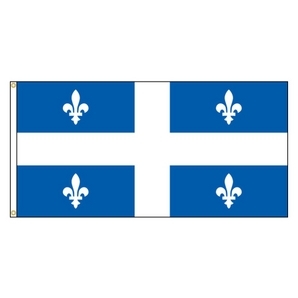 The Bureau de la Sécurité Privée licences all security personnel in the province of Quebec. To obtain your Agent Licence, you must send your documentation and pay certain fees. You can also ask your employer for assistance in making your licence request. security, as well as your years of continuous services. taken during the 6 preceding months. the photographs must be identified and authenticated by your respondent or a Commissioner of Oaths. To obtain your licence, you must pay a total fee of $135. $53 that ensures your licence remains valid for the first year. These fees will be reimbursed if your request for a licence is refused or annulled. Attention! If you wish to engage in private security activities in more than one category, you must obtain a different licence for each of the categories. You must, therefore, pay the $53 fees for each licence you request, even if you are making your requests simultaneously. In addition, each licence request must be accompanied by an individual payment (one sole payment for several requests will not be accepted). $82 for the Verification of Security Conditions. These fees will not be reimbursed if your request for a licence is refused or cancelled. You will not, however, have to pay these fees if you have already obtained another licence that is still valid. – an agency licence that your employer has obtained and for which you have been verified as a person. In this case, you must notify us when applying for which agency the verification has been made and when. In addition, the dates of payment of the annual fees for your new agent licence must be identical to those of the agency licence in order to do only one verification. Your licence may be issued for a period less than five years. To confirm that your request was received your Licence Request, you will be sent a proof of receipt by e-mail. You will not receive a proof of receipt by regular mail. It is, therefore, important to supply your e-mail address in the Form to Request an Agent Licence and ensure that it is clearly legible. Attention! Your proof of receipt will only prove that you have made a licence request. You must wait to receive your licence before engaging in private security activities. you have met the training requirements if they apply to the licence category you are requesting. You will be sent the decision 3 to 5 weeks after receiving your payment and all the documents listed in the Documents section above. The response could be delayed if your payment or your documents do not meet specifications. over the course of the last five years you have been refused, not renewed, suspended or revoked one of your agent licences. Every year, you must pay fees to conserve the validity of your licence. You must make the payment before the due date inscribed in your licence. For example, if it is inscribed: « valid: 2010-07-22 to 2015-07-21 » on your licence, you must pay the annual fees by July 21st, the latest, every year. In all cases, you will be sent a letter 30 days before the expiry date to remind you and explain how to pay. You will receive a proof of receipt as soon as your payment has been received. change of employer; You can send your notice or your form by mail, by e-mail, or by fax. a conviction for a criminal infraction. In addition, if you change your address, you must send a completed Form for Address Change. You are not permitted to occupy a position that is incompatible with the private security activity that you received a licence for. For example, you can not join the police force at the same time. You can communicate with the Bureau de la Sécurité Privée to receive more details on incompatible employment positions. You can request an additional licence for each of the categories of security activities where you do not yet have a licence. To do so, you must complete the pertinent sections of the Form to Request an Agent Licence. As soon as you make your request, you must pay the $53 fees to ensure your licence is valid throughout the first year. You will not, however, have to pay the fees for the Verification of Security Conditions if the licence you already have is still valid. You must also send a copy of the documents that prove that you meet the Training Requirements, if they apply to the licence category you are requesting. Note. It is not necessary to send your photos, birth certificate, or proof of identity. Your agent licence will be given to you for a period of 5 years. You must, therefore, submit a request to renew your licence every 5 years. This request must be sent at least 45 days before the expiry date of your licence. We will send you a letter to remind you, and explain how to proceed with your request. You can replace your licence if it is lost or stolen. To do so, complete the Form for Licence Replacement and send it to Bureau de la Sécurité Privée. Replacement costs are $25 plus taxes. If you foresee that you will be ceasing your security activities, you must advise Bureau de la Sécurité Privée by writing, specifying the exact date. Your licence will be revoked as of the date that you specify. No money will be reimbursed. A temporary licence is given for a maximum period of 120 days. You still need training before you can obtain a private security licence. For example, you need a temporary licence to become an apprentice in a company. An employer requires your services for a very particular investigation, most notably to act as an undercover or double agent. The request for a temporary licence must be done in the same manner as the Request for an Agent Licence. You must provide the same documents and pay the same fees. In addition, you must provide a written declaration from the person who wishes to retain your services. It could be, for example, your future employer or the person in charge of your apprenticeship. the name of the person who will supervise you and their agent licence number. Your temporary licence will only licence you to engage in the security activities that have been specified in your licence and for which you have been authorized. For example, if you received a temporary licence to work at one agency, you can not use it to work at another agency. Similarly, you can not continue to work for your employer once the event that was specified in your request is terminated. In addition, while you are engaging in private security activities, you must, at all times, remain under the supervision of a person who possesses an agent licence in the same category as your temporary licence. The temporary licence is valid for a maximum period of 120 days. That said, throughout the year you can renew it as often or as long as the reason that it was granted remains valid. The temporary agent licence may be renewed by paying an administrative fee of $35, as long as the holder needs it for the same purpose for which it was obtained. If the temporary licence is renewed for a period exceeding one year, an additional fee will be charged, in accordance with the Regulation under the Private Security Act. For example, a temporary agent licence issued for the purposes of exercising private security activities during a labour dispute may be renewed if the same labour dispute is ongoing and the agent's services are required for a longer period. However, a temporary licence holder cannot receive a licence renewal free of charge when the renewal is for an event that differs from the event and/or activity for which the temporary licence was originally issued. For example, a temporary security guard licence issued to enforce private security activities during a cultural event does not allow the agent to provide services at another cultural event. If the agent wishes to practice a private security activity at another cultural event, he must reapply for a temporary or regular licence, depending on the situation. Attention! You can not renew your temporary licence numerous times without a valid reason. In such a case, we could refuse to renew your temporary licence and oblige you to request an agent licence. To obtain a licence in the following security activities, you must successfully complete the required training or have equivalent skills and knowledge. You must successfully complete the training in private security guarding, for a minimum of 70 hours training. This training must be offered by a school board that provides you with a diploma and a transcript of your grades. You can contact the Parity Committee for Security Guards to obtain information concerning your experience in private security and a list of your previous employers. You may obtain an agent licence even if you have not completed the required training. You must, therefore, prove that your skills and knowledge are equivalent to the prerequisite training. the nature and length of your security experience.